Amy's Creative Pursuits: Digital Tuesday Challenge "A Sketch Challenge"
Hello and welcome to another Digital Tuesday Challenge. This week's challenge is a Sketch Challenge. 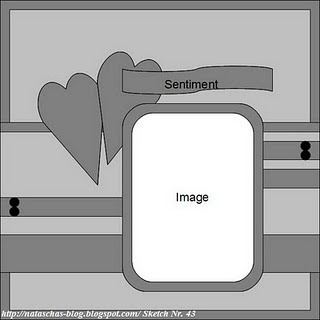 Simply make a card or scrapbook page using the sketch pictured below and at least one digital element. Our sponsor this week is Stamp Fairy and they are giving away 3 digis to one lucky randomly chosen winner. And here is a close up of the main image. AWWWW Amy this is soooo sweet!!! She is such a cutie, great sketch and love your take on it!! oh she is so sweet Amy! beautiful card hun! Oh, so cute...and I love the crocheted flowers! How adorable Amy! Love the soft colors you chose, perfect for the image!